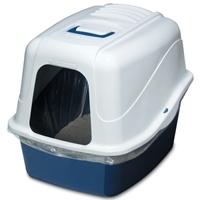 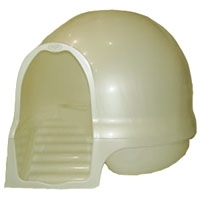 Petmate’s Cleanstep litter box offers a sleek, step design to catch litter from your cat’s paws and a hooded top to ensure privacy for private moments. 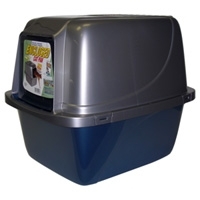 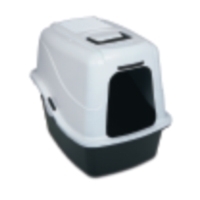 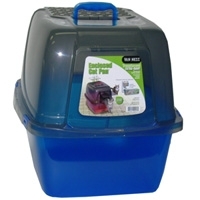 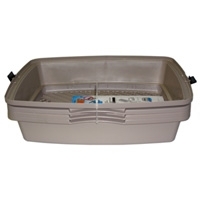 Features an enclosed design to contain litter scatter and large filter to minimize unwanted odors. Available in a variety of pearlescent colors. 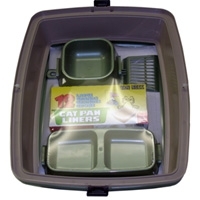 Framed pans reduce litter spills, latches lock top to bottom, and holds liner in place. 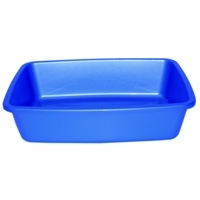 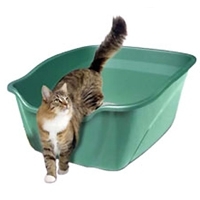 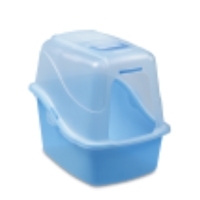 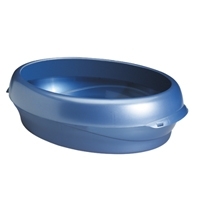 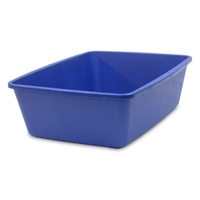 Built to last with high impact, durable plastic, this oval shaped cat litter pan features Microban. 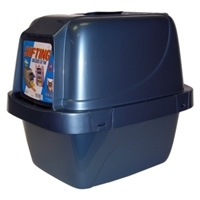 This antimicrobial protection helps prevent stains, odors, bacteria, mold, and mildew. 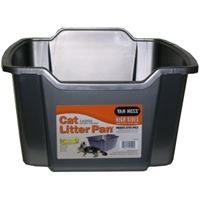 This pan has a raised back which contains litter scatter and spray. 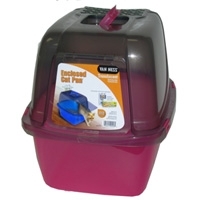 The pan features a wide entrance and lower front for easy entrance/exit. The pan also features four molded-in feet for stability. 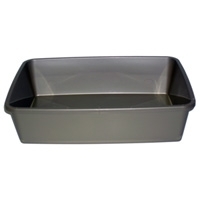 This pan is just like the basic hooded pan, but with added style! 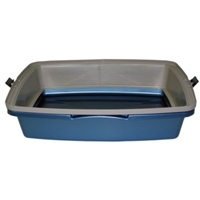 The pan has a raised back which contains litter scatter and spray, a wide entrance and lower front for easy entrance/exit, and four molded-in feet for stability. 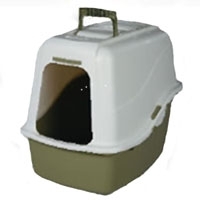 With an easy latching hood, the Deluxe Hooded Pan provides privacy for your cat, helps reduce odor and minimizes litter scatter. 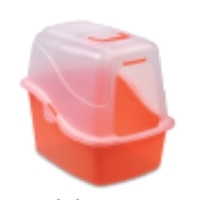 Made with Microban®, an antimicrobial that helps fight the growth of stain and odor-causing bacteria, mold and mildew. 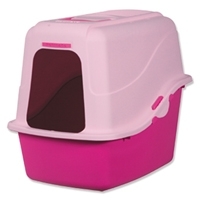 Available in various fashionable colors and 2 sizes perfect for any home decor. 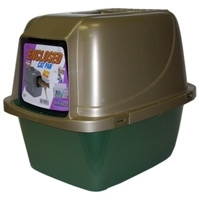 Includes a privacy door, litter scoop and liners.